The Convection Steam Oven (CSO24) has been discontinued. Limited quantities of this model may be available through a local Sub-Zero and Wolf dealer. Wolf introduced new convection steam oven styles in April 2014. Learn more. Delivering precise control is easy with a variety of steam, convection, and combination steam and convection cooking options. Unique technology senses the amount, size, and shape of food once an automatic mode has been selected. While cooking, it monitors the time, temperature, and environment, eliminating all guesswork in the kitchen. 24" E Series Transitional Convection Steam Oven Revel in fast, more versatile, and healthier cooking. Simply choose a cooking option and the oven controls the right combination of steam and convection that’s ideal for your dish. Steam vegetables and retain up to 22 percent more vitamins than conventional cooking. Steam-roast poultry that’s gloriously brown, miraculously juicy, and done up to 25 percent faster. And since Wolf convection steam ovens don’t need a plumbed water line, they can be installed anywhere. For a polished look, this 24” E series convection steam oven oven can fit flush with surrounding cabinetry. All the design details, such as the handle, coordinate with other Wolf transitional products. 30" M Series Contemporary Convection Steam Oven It seems there’s no end to what Wolf convection steam ovens can do. With interior capacities more than 25% larger than similar products, they let you prepare multiple dishes, even entire meals, at once. Imagine cooking a savory casserole and a delicate dessert simultaneously, with no transfer of flavors or aromas between the two. Versatility extends to the design applications as well. With their matching handles and frames this 30” contemporary M series unit and other Wolf contemporary ovens make ideal companions. Both ovens have the option of being flush mounted with cabinets for an integrated look. 30" E Series Transitional Convection Steam Oven Fast, versatile, healthy cooking — simply delicious. Choose the cooking option combining steam and convection that’s ideal for your dish. Steam vegetables to retain up to 22% more vitamins than convectional cooking, or use a convection mode to prepare multiple dishes at once without worrying about odor or flavor transfer. Wolf convection steam ovens’ large water reservoirs mean you can install them anywhere — no plumbing needed. The 30” E series transitional convection steam oven is an ideal complement to Wolf’s transitional E series oven. Design elements such as handles and frames match, and both ovens may be installed flush with your cabinetry if you wish. 30" M Series Transitional Convection Steam Oven It’s not only amazingly versatile, it’s amazingly intelligent. The oven’s internal brain knows how to steam vegetables with up to 22 percent more retained vitamins than conventional cooking. It steam-roasts poultry that’s gloriously brown, miraculously juicy, and done up to 25 percent faster. It even makes kitchen design easier. 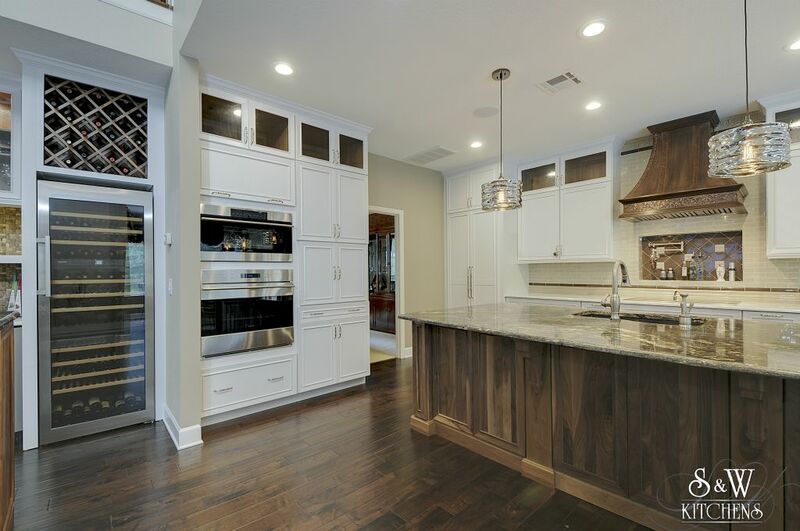 The 30” transitional convection steam oven may be installed flush with cabinets for an integrated look, and its handle and framing coordinate beautifully with other Wolf transitional ovens. 30" E Series Professional Convection Steam Oven It’s nothing short of amazing. The oven’s unique technology can sense the amount, size, and shape of food and automatically adjust all the details of cooking. Steam-roast poultry that’s gloriously brown, miraculously juicy, and done up to 25 percent faster. Even rejuvenate leftovers and days-old bread to delicious freshness. Achieve a cohesive kitchen design by pairing this 30” E series professional steam oven with the Wolf professional gas cooktop and E series built-in oven. The ovens have matching handles and framing and may be installed flush with cabinets for an integrated look. 30" M Series Professional Convection Steam Oven Revel in fast, more versatile, and healthier cooking. The oven’s unique technology senses the amount, size, and shape of food and automatically adjusts all the details of cooking. Steam-roast poultry that’s gloriously brown, miraculously juicy, and done up to 25 percent faster. Even rejuvenate leftovers and days-old bread to delicious freshness. Achieve a cohesive kitchen design by pairing this 30” professional M series convection steam oven with other professional-style Wolf ovens. The ovens have coordinating handles and frames, and have the option of being mounted flush with surrounding cabinetry. 30" E Series Contemporary Convection Steam Oven Wolf convection steam ovens just may be the world’s most versatile ovens, and the most intelligent. Start with the cooking mode (there are 10 to choose from) ideal for your dish. From there, unique technology deploys a combination of steam and convection, senses the amount, size, and shape of the food, and automatically adjusts all the details of cooking. The 30” contemporary convection steam oven can be fitted with a black, tubular handle (sold separately) to pair beautifully with Wolf’s contemporary E series oven, and both ovens may be flush mounted with your cabinets.